Have you ever noticed that when a group of people meet for the very first time, everyone tries their hardest to fit in? I love it when that happens, the short moment when everyone is excited about meeting new people with whom they could form long lasting relationships. Then a couple of days laters we split up into several different groups along with a few cast aways who have failed to forge any bonds (*sniff*). I have always wondered why we can’t always stay at the wonderful stage where we continually try to seek similarities with one another. Instead we end up looking for differences and branch off. You like knitting woollen breasts? Me too! I have a feeling we will become fast friends! 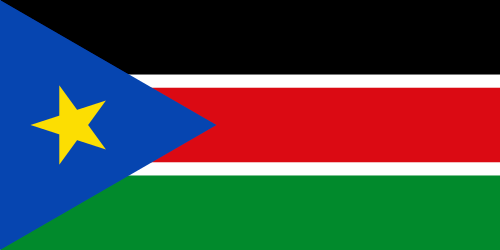 Unlike a lot of people I was displeased with the formation of The Republic of South Sudan. I am not pleased because the world does not need another Third World World country (or undeveloped country, whatever the PC term is these days). By creating a new (tentative) border we are frustrating any humanitarian aid with increased bureacracy. I also firmly believe that the creation of a new country can only bring about new conflicts. It just creates more opportunity for war. It is strange really, we as humans seek companionship with one another. We form social groups, families and tribes only to ultimately distinguish ourselves from one another as nations. We see it all the time. We band together only to split up, for me it feels counter-intuitive. It is always us and them. What we need is unity. We need to remember that behind all the differences – religion, sexual orientation, nationality, gender – we are all the same on the inside – filled with organs. This entry was posted in Musing, Philosophical, Random and tagged Philosophical, Random, Social Commentary, South Sudan, Woollen Breasts. Bookmark the permalink. Enter your email address to be loved by me and my elves will notify you of new posts.